As one of the most nutrient dense foods available, kale is packed with vitamins, minerals, most notably both Omega 3 and Omega 6 fatty acids, lutein, and folate. 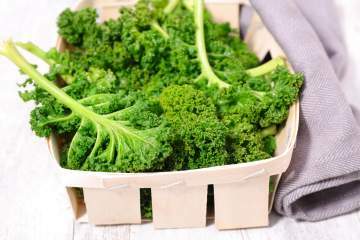 Whether you are reaching for kale chips, tossing it in morning smoothies, using it for salad greens, or using it for sides and main dishes - kale is something we should all be eating. Start out with some of our fan favorites including this Asian Kale and Apple Slaw, a lightened up Kale Caesar Salad, or these tasty Rosemary White Bean and Kale Quesadillas.